Puddles of Myself: Post "Merriweather Post Pavilion"
This Sunday, Animal Collective will stream their forthcoming album "Centipede Hz" online—but we aren't talking about it like we talked about "Merriweather Post Pavilion." Matt Domino investigates why. 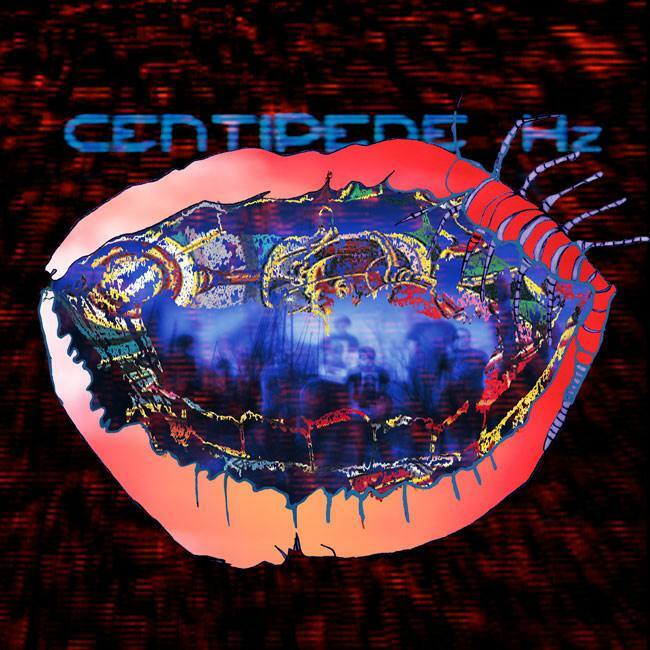 This past May, Animal Collective announced they would be releasing their forthcoming album, Centipede Hz on September 4, 2012. I didn’t Google the phrase “Centipede Hz leak” until Monday night of this week—the album comes out in less than a month. Now, as far as I know, for the past three months people may have been constantly searching for leaks of the album. But the fact that I, by all means a big Animal Collective fan, did not look for an illegal early download of their first full length record in almost four years until less than a month before its release shows a definite change of the times. At one of Led Zeppelin’s historic 1973 Madison Square Garden shows, during the beginning of “Stairway to Heaven,” Robert Plant famously asked the crowd, “Does anybody remember laughter?” This was captured for the film The Song Remains the Same and has become one of the most iconic moments in rock n’ roll history. It was an off-the-cuff remark that seemed profound because it hinted at “the time before”; a simpler time when we could all laugh. At this moment, I want to ask if anyone remembers 2008? I ask that in all seriousness because even though 2008 was not that long ago, it’s starting to feel like it was a completely different era. Perhaps as we get further and further away from it, we will see that during 2008 we were ending one part of the technology age and entering a new one. Twitter wasn’t even a reality in 2008, while now it is perhaps the second most popular form of communication behind the text message. And back in 2008, something happened in the lead up to Animal Collective’s last album, Merriweather Post Pavilion, that I don’t think we may never see again in music due to the radical shift in the way our world works—especially entertainment and especially music criticism and music enjoyment. Merriweather Post Pavilion didn’t cause this shift, but it was perhaps the right album for the right, or maybe wrong, time. Now, if you’ll indulge me, a little back-story of myself in 2008. In the summer of 2008, I had been out of college a year, had just moved to Williamsburg and had just started my first office job. My life wasn’t perfect by any means. I was carrying out a secret romance with one girl and still getting over the heartbreak from another girl that I had loved for a long time. I had a little money and could buy plenty of beer to stay cool and I was very much into Animal Collective. Before I moved to Brooklyn in the late spring of 2008, I had been living with my parents and carrying on a long distance relationship with the girl I mentioned above—the one that caused me heartbreak. I worked in my dad’s warehouse throughout the winter and would think about nothing else but getting home to talk to her in Europe over iChat. On my rides home from work, I’d drink coffee in the night and listen to Strawberry Jam and Feels over and over again. Songs like “Peacebone” and “Grass” became rallying cries for my love and my soul. After a day’s work, I’d be covered in dust and my hands and forearms would be cracked from the dry winter air and cut from the odd, sharp edges of cardboard boxes. I’d drink my hot coffee while my car warmed up and look at the passing lights of the road. As I listened to the incessant drum beat of “Grass” or the throbbing synthesizers and bass of “Peacebone” my mind would conjure up images and stories of romance: me embracing my love when she landed at the airport in the warm weather; a story about a long-married husband and wife who are falling out of love and separated for a weekend, only to realize that they need to make their way back to each other. This was my routine for five months. I held those songs, images and albums to my chest as though they were the only armor against the mundane, against failure, sadness and loneliness. I’d talk to my love on the phone and then write, drink whiskey and take mild painkillers to fall asleep and mid-January suddenly turned into April and I had found a job and saved enough money to move to Williamsburg. Only by that time, the girl had decided she didn’t quite need me any more. So, I moved into Brooklyn heartbroken, but free. I was truly living on my own for the first time—there were none of the harnesses and shackles of college life. Many of my friends and acquaintances from college were living in Williamsburg and as the summer picked up steam, we’d stay out late on weeknights drinking at bars where they gave out free Genny Cream Ales for an hour. On Sundays, we would gather and go to the McCarren Park Pool to watch bands play to bored, hot audiences in cut off shorts and grimy, but fashionable tanktops. Then my roommate and I would have people back to our roof for barbeques and games of Dominoes (yes, its true) in the fading red light and, most of the time, it felt like it wasn’t Sunday and that it wasn’t depressing. Monday would slowly unravel and we’d all kill time at our assorted work environments reading Pitchfork reviews—when Pitchfork still looked like this. And, those of us who were pioneers furtively used GChat to dissect and discuss the latest album or piece of music news in rapid-fire messages and glowing orange alerts. The news of that summer was that Animal Collective were working on a new album that wasn’t just going to be good, it was going to be great. That May, the band had released the Water Curses EP, which seemed to serve as the coda to (and in some cases surpass) the musical and artistic success the band had achieved with Strawberry Jam. However, there were whispers and testimonies, by those who had seen the band live or downloaded bootlegs of their recent concerts, that the new songs were like nothing they had ever heard—even from an outwardly experimental band like Animal Collective. People would come up to you at parties or during some long night at a bar and ask you drunkenly if you had heard the bootleg of that new Animal Collective song “House.” And, because I loved them and used that music as a shield or some symbol for my new life, I had heard the bootleg and I loved it. She's so far away from crowded nights. Later that summer, after we had digested one or two bootlegs of the new Animal Collective songs, my friends and I went to the All Points West music festival in New Jersey. The only reason we went was to see Animal Collective. Some of my friends wanted to see Radiohead, but I never really cared about them even when they were more important than important. We took mushrooms and stood in the heat waiting for the band to come onstage. We were excited, partly from the mushrooms, but mostly for the music. So, like any good cliché, we weren’t self-conscious about what we were doing—our joy was real, despite our well-worn postures. And then the band came on and it didn’t feel as hot anymore. The sun was just right, the crowd wasn’t oppressive and Avey Tare, Panda Bear and Geologist (Deakin had decided to take a break from the band at this point) gave it their all. After they played, my friends and I sat in a circle in the beer area drinking pale ales, switching sunglasses, picking grass and laughing. The summer eventually ended and so did each of my romances— both the secret one and my attachment to my long-held heartbreak. The excitement for Animal Collective’s new album kept building, though. They finally gave it a name: Merriweather Post Pavilion. It was named after the legendary venue in their hometown of Baltimore. Some random night in September, I came home from work, checked my e-mail on my computer, and found a message about a small pre-album listening party for Merriweather Post Pavilion in October at the River Room on the Upper West Side. I put my name in for the random drawing and within a week I heard back and was given my free ticket. The organizers liked my name because the band’s record label was Domino. None of my friends were able to get tickets, so, one brisk night in late October, I went to the Upper West Side alone with a notebook, prepared to write down my first thoughts to relay them to my friends. I milled at the fancy bar drinking whiskey alone and waiting for the album to start. People who had gotten to the River Room earlier than I had were already sitting in the nice chairs that had been set up. I took a decent-sized whiskey to one of the windows and sat on the decent-sized ledge. I looked out at the river. Suddenly the album began, as it does, in murky, yet shimmering waves. Avery Tare started singing, his vocals affected with more echo than usual. Then Panda Bear’s harmonies came in and I thought about Simon & Garfunkel and mid-period Beatles. I don’t remember much, only that I felt great as I left and that I forgot my notebook there and was too lazy to ever retrieve it. I lost a few story ideas. Every day, from October forward, I Googled the phrase “Merriweather Post Pavilion leak” in some form or another. Maybe I threw the phrase “.rar” or “.zip” on at the end. Sometimes I would just try “Merriweather Post Pavilion blog” or “MPP blogspot” in some attempt to find that secret realm of access to the early illegal download. My want of the album was something more than I had ever experienced before. It wasn’t that I was just excited to hear the music again because I had gone to the listening party and had liked what I heard, it was more than that; it was that I had to have the album because the album itself had begun to represent some moment in music, some greater moment in the meaning of my life. This was partly due to my love of the band, partly due to where I lived, partly due to where I was in life and also due to the Internet music criticism community. Pitchfork has been the indie/college rock collective consciousness since about 2005. Before that, it was known by mostly “inside baseball” music fans. Since 2005 or 2006, though, it started to become something more, something closer to an interactive and shared brain for people that liked “good” or “smart” music. What Pitchfork is, what it does or doesn’t do has been well covered, but in 2008, in the lead up to Merriweather Post Pavilion, Pitchfork was arguably at the peak of its powers as a cultural voice—the widespread backlash had not yet fully occurred. Music fans had been hooked on the criticism for years. There was a certain enjoyment to be had in checking the website each day, seeing what rating Pitchfork gave an album and seeing if your tastes matched up with the taste-makers or if instead you were vehemently opposed to their critique and dismissal of your favorite band’s latest record. No matter what your relationship with Pitchfork, there was something fundamentally human about the desire to see what they said and to be either angry, pleased or curious. In 2008, we were already hooked on the criticism, so Pitchfork developed Pitchfork.tv, which allowed them to create content based around bands that they liked and bands whose work they had also dismissed. They had created even more content for rapid intake besides make or break album reviews, track picks, artist interviews and essays, and music streams. Pitchfork had officially extended itself into a true multimedia brand. And amid their emergence as a true multimedia brand, the biggest album of the Pitchfork era was about to be released. An album that promised to unite all critical opinion and “intelligent” music fans in a way that the mainstream music world could not ignore. Yes, the songs were going to be that good. They were going to have pop elements that teens could enjoy, 60’s harmonies that dad’s would find relatable, bass that hip hop fans had to respect, and enough electronics and harmonics that even the biggest music snob would have to at least appreciate. The importance of the solidification of Pitchfork as the “MTV” of the indie generation coinciding with the lead up to and the release of Merriweather Post Pavilion can’t be overstated. When the source of stoic criticism and hype actually allows excitement for an album to permeate their editorial voice, you have to take notice. Except that everyone at that time was already taking notice because we were already excited and nervous with anticipation for an album that had the potential to be the record of our generation. So, the fall of 2008 continued and we moved slowly towards winter. We learned that the bootleg song “House” was actually called “My Girls.” There was a joyous Panda Bear song that had been a live favorite as well. We learned that song was called “Brothersport.” And that weird, funky, poppy Avey Tare song with that chorus, “I want to walk around with you!”, that one was going to be called “Summertime Clothes.” Next, the band released the trippy album art that moved when you looked at it closely so that you felt you were hallucinating. Finally, we found out that the album would be released on January 6, 2009. January is usually one of the worst times to release an album, but the band were so confident in their product and frankly they didn’t care. The backwards narrative then became that the Summer of 2008 had been the beginning of a new era, a modern day Summer of Love that was going to usher in the momentous Indie Year of 2009 where the other eminently popular Brooklyn bands like Grizzly Bear and The Dirty Projectors were going to release their definitive albums. It was ’67, ’77, and ’92 all over again. And Animal Collective were going to be the band at the forefront, the voice leading all the other voices. The holiday season was ushered in and I still looked for a leak of Merriweather Post Pavilion every day—at work, when I got home from work, after I ate and right before bed. Needless to say, I was “Rick Rolled” more than a few times, but I still held fast in my Google search discipline. Christmas Eve came and a leak had not been found anywhere on the Internet. The album was due out in a little over a week. It didn’t seem possible that not one Internet fiend could find or share an illegal copy. On Christmas Day, I checked the Internet periodically to see if the album had arrived as some kind of Christmas gift. As I was scouring the Internet, my friend Mikey popped up on my GChat. Then he messaged me a link to some filesharing site. I don’t remember if it was Mediafire, Rapidshare, Megaupload or what, but I remember greedily clicking, downloading, tapping my foot and then extracting the .rar file on my parents’ computer and being completely shocked that files were real. It all seemed too crazy to be true. This album, of all albums, had leaked on Christmas Day. I’m not going to recount my first experience listening to Merriweather Post Pavilion. Everyone knows it’s a great album and I loved it right away. Whenever you went somewhere in Brooklyn that winter and early spring, all anybody talked about was the album. You argued which song was the best and you dissected who was the true driving force behind the vision. Was it Avey Tare? Was it Panda Bear? Or, in a shocker, could it possibly be Geologist? You argued about all these things, but everyone agreed that the album was a masterpiece. Pitchfork gave it a 9.6 of out 10.0. 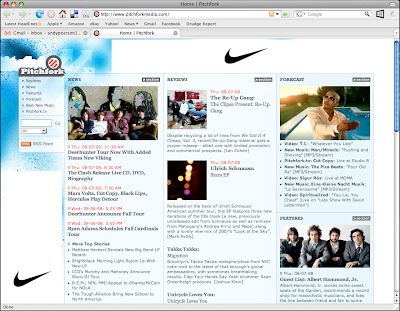 That May, Grizzly Bear released Veckatimest and The Dirty Projectors released Bitte Orca. Both records were the best albums either band had put out to that point and will most likely end up being their best albums overall when all is said and done. The summer of 2009 started and nothing really happened. We moved on to new albums, new concerts, new romances and hang-ups. I went to see Animal Collective at Prospect Park in August and they sounded tired. The Merriweather Post Pavilion songs seemed hollow and older than they actually were. I remember wondering if it were wrong of me to feel that way. I still loved the songs, but I was tired of them. Had I consumed them too quickly? Had we all consumed what Animal Collective were, the art that they made faster than it was meant to be taken? In the fall of 2009, Animal Collective released the Fall Be Kind EP, but it came and went and no one really talked about it (I only mildly gushed over “On a Highway,” but I’m a sucker for alienated Avey Tare songs). In 2010, new bands like Beach House emerged as indie powerhouses; people remembered that the Walkmen might be the best pure rock band that we have today; and Vampire Weekend and The Arcade Fire had albums that went to #1 on the Billboard charts. Was it all directly due to the unprecedented hype and delirium surrounding the pre-release of Merriweather Post Pavilion and its unintended promise of a New World Order? Of some kind of universal musical success that no one could seem to define? Maybe it did, but we’ll never know. In any case, the Animal Collective guys continued on. Panda Bear made another solo album and so did Avery Tare. They got good reviews on Pitchfork, but we didn’t really talk about them at parties or on GChat like we talked about Merriweather Post Pavilion in the summer, fall and winter of 2008. All of a sudden, no one in Brooklyn or anywhere else was talking about a band that had fairly recently released their best album and perhaps one of the best albums of the last twenty years. This Sunday, Animal Collective will stream Centipede Hz in its entirety. I didn’t find out about the stream until this week when I was looking for an illegal leak of the album. Does this mean that I’m no longer an Animal Collective fan or that maybe I never truly was? No. I still listen to Merriweather Post Pavilion and thrill at all the highs and lows; the rhythmic, aquatic quality it takes on and then violently shakes away in favor of throbbing bass; the different twists and turns and hooks in every part of both Avey Tare and Panda Bear’s vocals. I listen to a masterpiece. And I still listen to a song like “Cuckoo Cuckoo” on Strawberry Jam and get goose bumps, because I don’t know if I’ll ever find a song that I relate to in its forthright embrace and alienation from life more than that song. 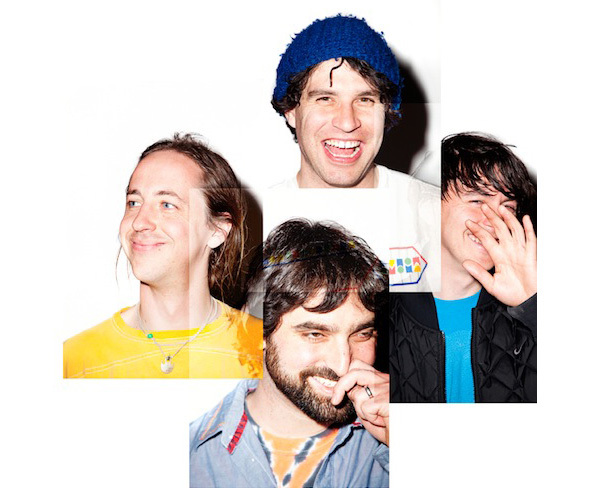 Animal Collective make great music and they have sound-tracked some of the best and loneliest moments of my life—moments where I’ve felt full of power, full of love and moments where I felt incapable of either. No, Merriweather Post Pavilion was a product of its time and place. Its release coincided with the initial rush and thrill of the wave of technology that brought us to the world we now live in. Merriweather Post Pavilion will never happen again and it’s probably for the best. So far, to me, the lack of hype leading up to Centipede Hz is just a sign of our times. We love something and then forget about it because there is another story to digest. To be honest, I don’t even read Pitchfork anymore and if I do, its very rare. I don't avoid it our out of some moral high road, but simply because I don’t have time—there are too many other pieces of information, songs, voices, opinions and videos for me to ingest. Like any well-worn shirt, Pitchfork has simply fallen out of my rotation. Merriweather Post Pavilion will never come again—it was a product of its time. Centipede Hz will be a sign of its time as well. From the looks of it, it will just be an album that a very good band releases and that we enjoy and then both move on from. Maybe that’s what Animal Collective need. And maybe we can learn something from a lack of hype.